Zhiyun Smooth-Q deal! Get the Best Budget Smartphone Gimbal NOW! Tim Nicholls January 29, 2018 January 29, 2018 Comments Off on Zhiyun Smooth-Q Price Alert! Today, Zhiyun has announced The best Zhiyun Smooth-Q deal this year. The price of the Zhiyun Smooth-Q has dropped to USD $99 (original price USD $129). From January 29th 2018 on, new price of Smooth Q is available to order from all official distributors. Check out the price of the Smooth-Q on Amazon. If you are thinking about buying a new gimbal, there’s never been a better time to jump in. Read our Zhiyun Smooth-Q review, to find out why we think this is the best budget smartphone gimbal. In summary, if you are on a budget, or just starting out making movies with your smartphone, especially vloggers or people who want to capture some quick but professional looking shots, the Smooth Q seems to be a good and affordable choice when it comes to mobile filmmaking. 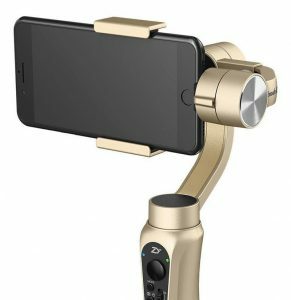 Zhiyun are clearly setting their sites on the new smartphone gimbals entering the market. The Freefly Movi, the new DJI Osmo Mobile 2, and the newly announced Feiyu Vimble 2 (not yet released) smartphone stabilizer, are all trying to catch a piece of the exploding phone gimbal market. Hurry up and get one for the New Year 2018!